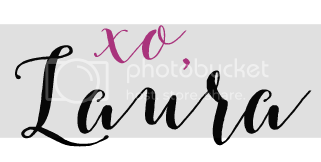 Today I am collaborating with 12 other amazing bloggers to give you some Thanksgiving outfit inspiration for next week! I'm excited (and also pretty nervous) to be hosting Thanksgiving this year. I've done Thanksgiving meals before, just not for this many people. And it's only 11 of us! I just want everything to be good and everyone to enjoy themselves. Our Thanksgiving meals are a little more formal with a sit down dinner in the dining room, china, and silver, but we don't dress that formally. Jeans and a sweater is the typical attire. Given that I will be cooking and getting things set I wanted to be comfortable, but still look nice. 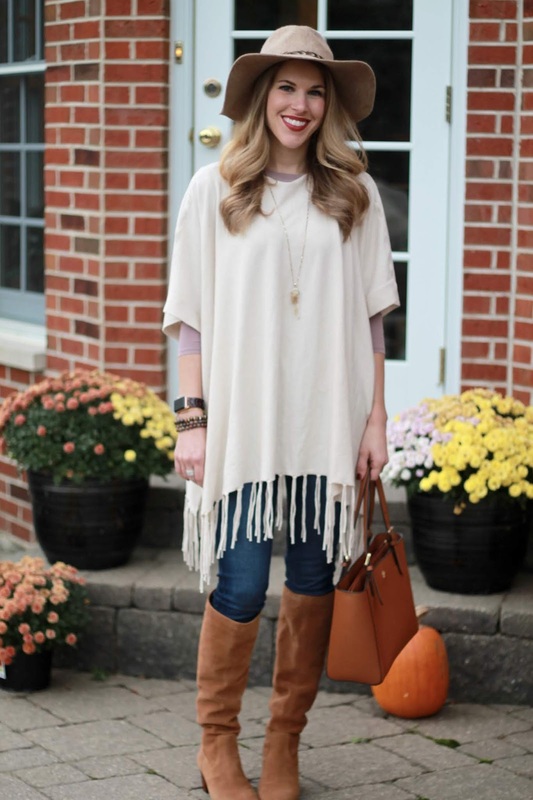 When this poncho arrived from Eva Trends a few weeks ago I knew it was a strong contender for Thanksgiving Day. It's so soft, very comfortable, and lightweight so no overheating! You can get 10% off your order at Eva Trends with code LA10. This particular poncho is one-size, but is large enough to fit XS-XL I think. It has a range of colors, too! 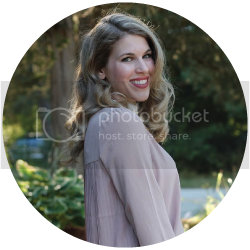 Check out the Thanksgiving Day inspiration from these other lovely bloggers! CHERYL Cheryl Shops: "Happy Thanksgiving, Ada! I am happy to share that after YEARS of looking for the perfect black jumpsuit, I finally found it. It's the ideal thing to wear for Thanksgiving because it's comfy but looks really polished too. The waist on this one is actually on the loose side, but there's a front tie to add a little definition (and to cover up my food baby). I added a denim jacket, because it's still on the warm side here in California, and a cheetah clutch and metallic red boots for a little pop of festive fun." DEBBIE Fashion Fairy Dust "I'm all about comfort every day, but it's even more important on Thanksgiving when eating is the main event! A loose flowy midi or maxi dress like this one is perfect for the occasion. Not only will you look pretty and put-together, but you'll also have room for that extra slice of pie..."
ADA Elegance and Mommyhood "Happy Thanksgiving Ladies! Thanksgiving isn't very huge in my family since my parents work that day =( but I still like to look nice and comfortable since we will be having dinner together. I chose this festive+warm wool sweater with stone embellishments, my most comfortable pair of jeans (they are the Absolution by Nordstrom), a pair of heeled suede booties and this fun corduroy leopard newsboy cap I recently thrifted!" LINDA A Labour of Life "Thanksgiving and Turkey they just seem to go together. Wearing a fun sweater I found at H+M a few years ago that screams the holidays. I love to get dressed up but comfort as well, so I paired the sweater with a fun flannel from old navy and my mustard pixie pants. A little dressy but a whole lot of comfort." MICHELLE Michelle's Pa(i)ge "I got this dress in my latest Stitch Fix and wasn't so sure about it however when I tried it on, it was so much cuter than I had expected! 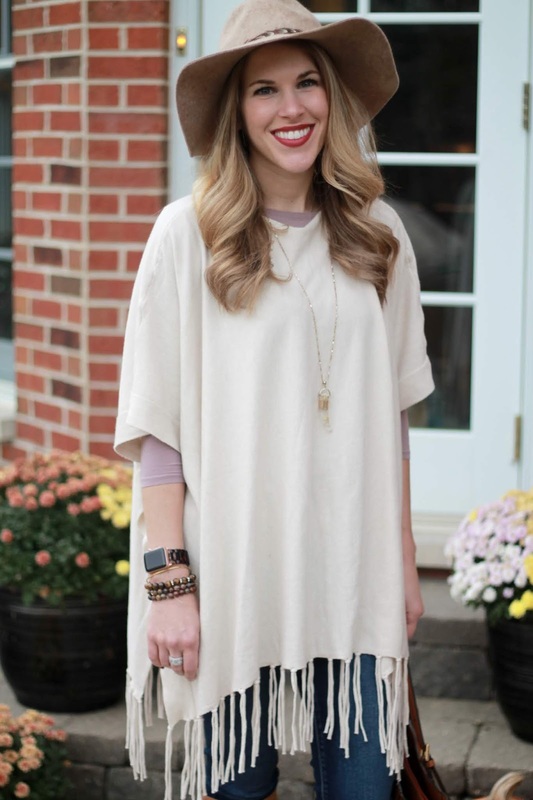 It's been the perfect dress for all of my fall parties and I plan to wear it to a Thanksgiving gathering too!" AMBER Avec Amber "My ideal Thanksgiving is all about comfort: both comfort food and comfy clothes! I always celebrate Thanksgiving with my family, and this casual outfit is perfect for hanging out, playing games, and eating way too much food!" SHELBEE Shelbee on the Edge "I chose a pair of stretchy skinny jeans and an oversized poncho for Thanksgiving day. 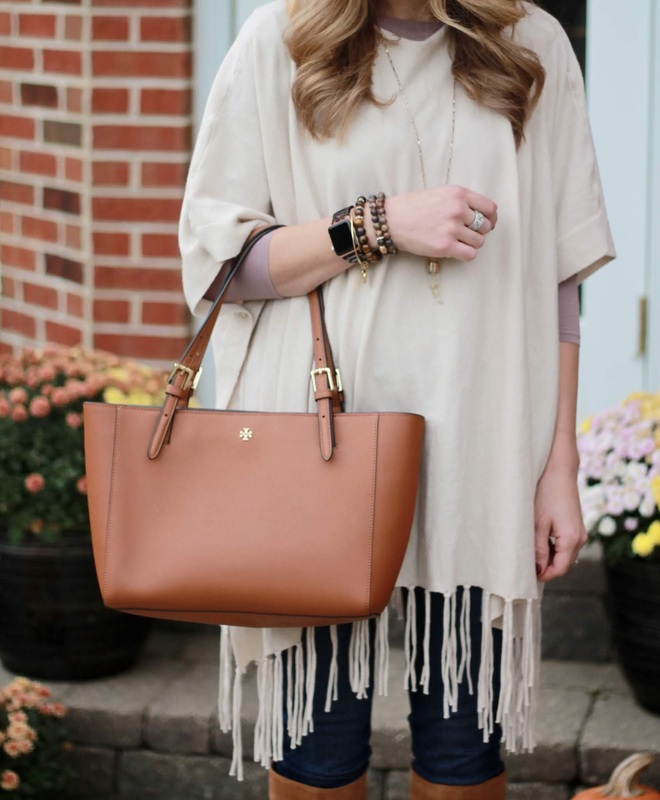 It is easy, comfortable, cozy, and looks put together while hiding the food baby! I added these fun floral booties as a little extra. I have to work at the mall Thanksgiving night, so this outfit would transition perfectly for work, but I will probably change the boots to some cute sneakers since it will be a long late night shift on my feet! May you all enjoy your Thanksgiving whether it be at home or at work!" ROXANNE Glass of Glam "I have a tradition of watching the Macy's parade with my family on Thanksgiving morning. A cozy, festive sweater and jeans is my favorite outfit for a day of chilling out with my loved ones." 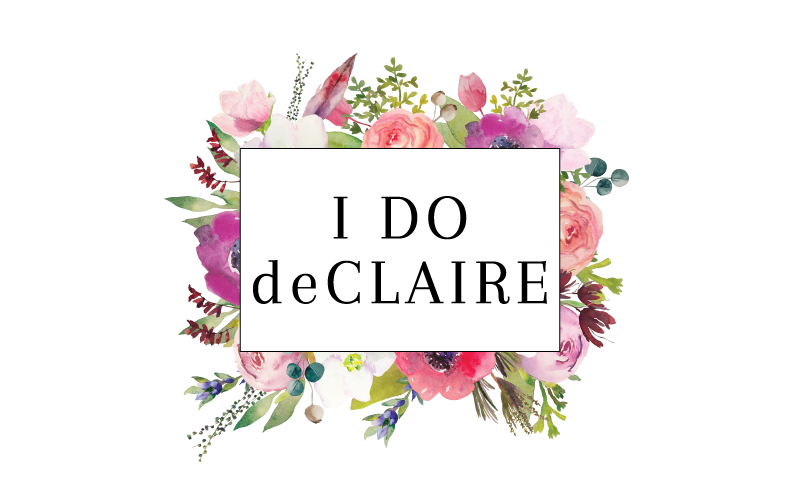 LAURA I Do deClaire "This year we are actually hosting Thanksgiving in our new home! In the past while our meal is a bit more formal with china and tablecloths and such, we dress pretty casually. So I paired my favorite jeans with a lightweight poncho I recently received. It's comfortable for running around and getting things ready beforehand and hiding turkey belly, but I still feel put together, too!" MONICA Jersey Girl, Texan Heart "Hey y'all! First of all thank you to Ada for letting me be part of this Thanksgiving collab. I like to be comfy on Thanksgiving because I like to eat, and when I have a food baby, I want it to be hidden haha!" JENNIE A Pocketful of Polka Dots "When it comes to Thanksgiving I enjoy wearing comfortable layers that are still classic and put together. Leopard and chambray are a favorite combination of mine and paired with cognac riding boots I am sure to get through the day with stylish ease." 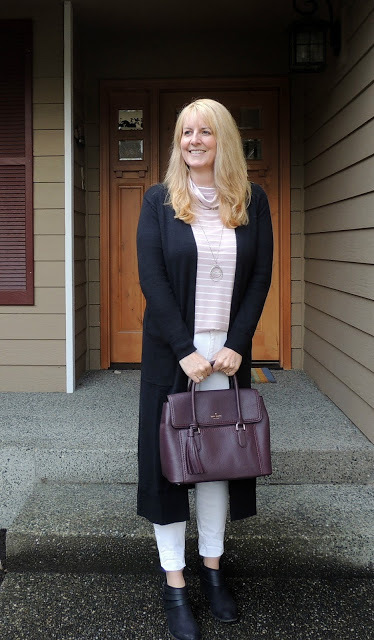 Last week's most popular post was from The Blended Blog with Lana posting on long cardigans. I've been loving long cardigans lately and she has a couple of really cute outfits for inspiration!